After investing so much money in purchasing a decent heat press it only makes good sense to take the time to look after it. And to do so, you will find that you need to clean it when things get stuck to the platens. At some point or another, you will most likely see a build-up of dirt, residue, adhesive, HTV vinyl and/or excess ink on your platens. It is important to keep them residue-free in order to ensure that you get a clean heat press transfer whilst working on your next product. It is also important to act quickly when you do notice the build-up of residue on your platens, as ongoing exposure to high temperature will cause the mess to ‘cook’ on to the heat press, making it more difficult to remove in the future. 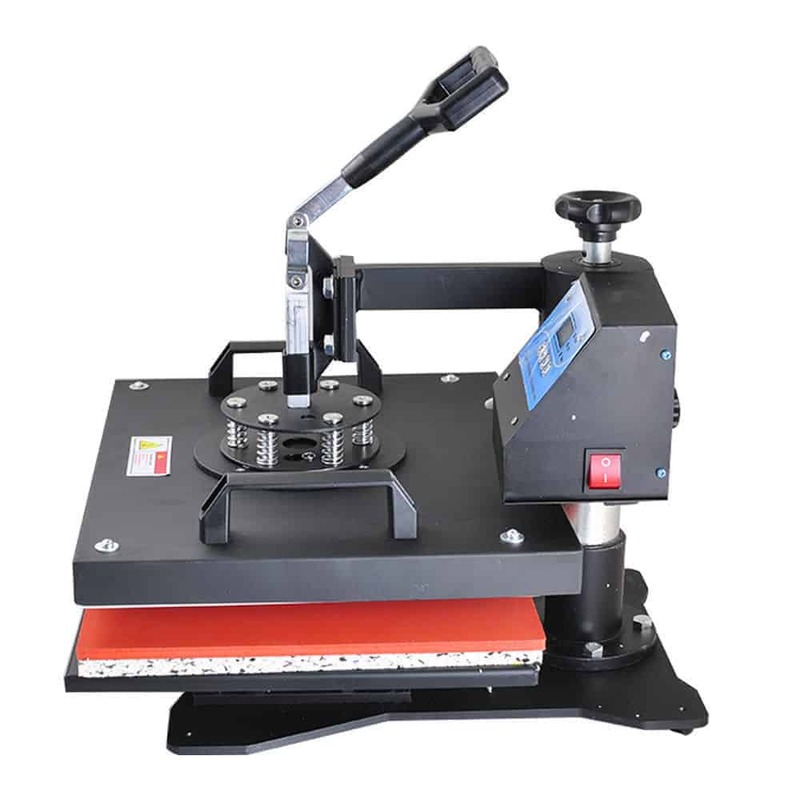 Below you will find some great simple and easy to follow steps on how to clean your heat press machine. You will know when your machine needs a clean after an incident such as an ink-blowout or when you accidentally pop the image the wrong side up (which will cause the ink to stick to the upper platen). It is also important to keep an eye on the residue and adhesive build-up as well. Fortunately cleaning a heat press is easy and doesn’t take a lot of time! Find below a list of materials you will need as well as the steps that are required to give your machine a quick refresh. 1. In most instances, you want to turn your machine off and let it cool down before attempting to clean it. Lowering the temperature typically makes a heat press easier to clean. 2. Grab your large clean lint-free cloth and cover it with a decent amount of cleaner (suggestions in the materials list above). 3. Gently rub the cloth over the platens to remove any of the mess. You will most likely find that your platens are nice and clean at this point. Occasional you might still have some residue left, so at that point, you want to continue cleaning by adding the next few steps. 4. Heat up the machine. 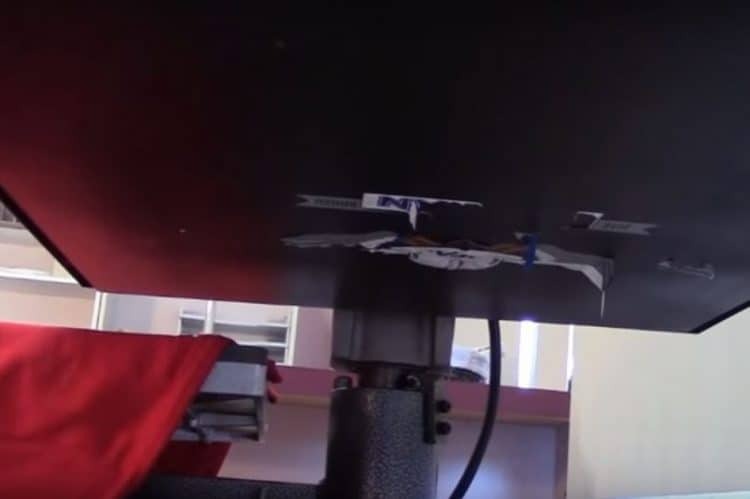 Tip: If you find that your heat press still has some mess cooked on to its platens even after following the above steps, we highly recommend that you purchase some protective paper and use this to protect your garments from the upper platen mess. Not only will the protective paper protect your garment but it will also help the mess to ‘cook out’ over time. The easiest way to prevent your machine from getting dirty is to protect the platens from a potential mess. We always heat press with a Teflon sheet to protect both our platen from potential ‘mess’ as well as to protect our garment from picking up unnecessary residue during the heat press process. We hope you now have all the tools and steps required to clean that machine. Do let us know in the comments below if you have any questions.